Sold per sheet. 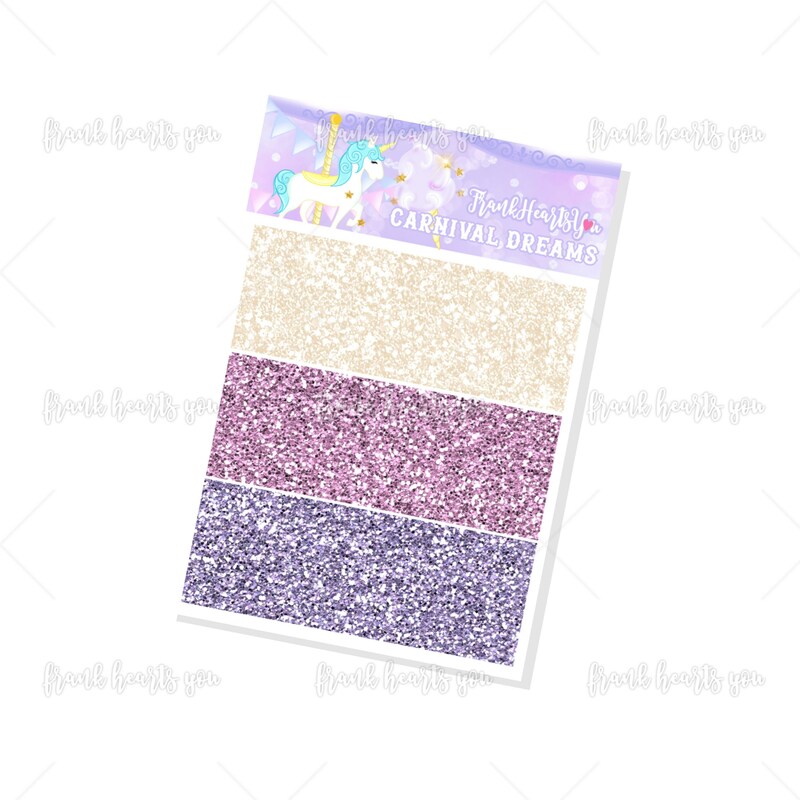 A mini sheet of coordinating glitter headers for the Carnival Dreams kit. 3 different colors, 8 strips each. This is a glitter texture pattern. My only problem with these is that they're too cute to use! Seriously it can't get any more adorable!